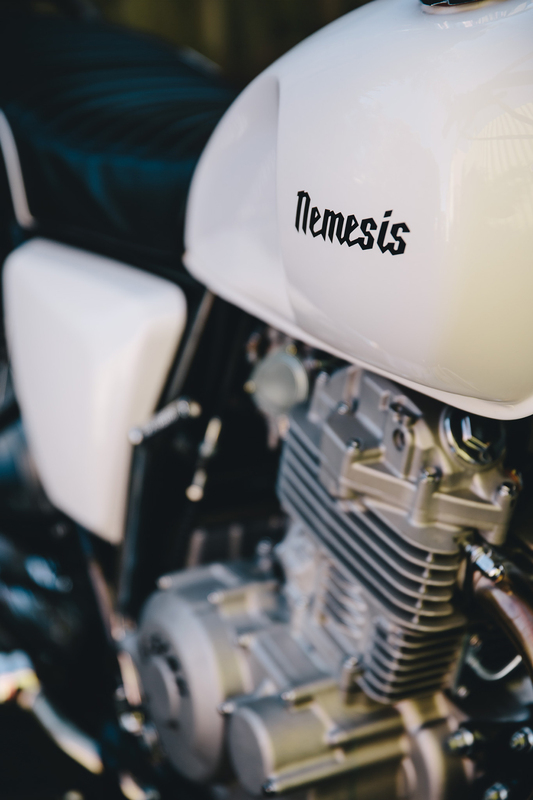 Nemesis – “A long-standing rival; an arch enemy.” An imposing definition, but don’t let that get to you. 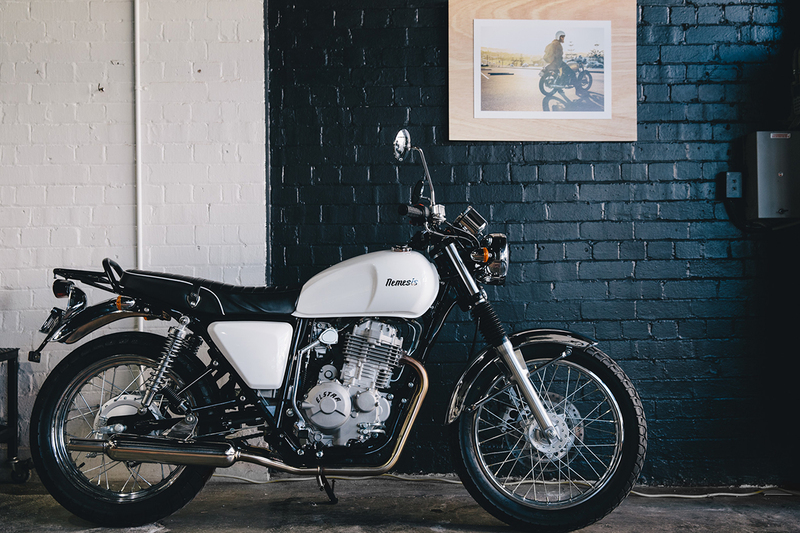 This bike won’t be your untimely demise, and for many new riders around Australia it’s a bike that will mark a new beginning as it jumps in the ring for LAMs bikes. 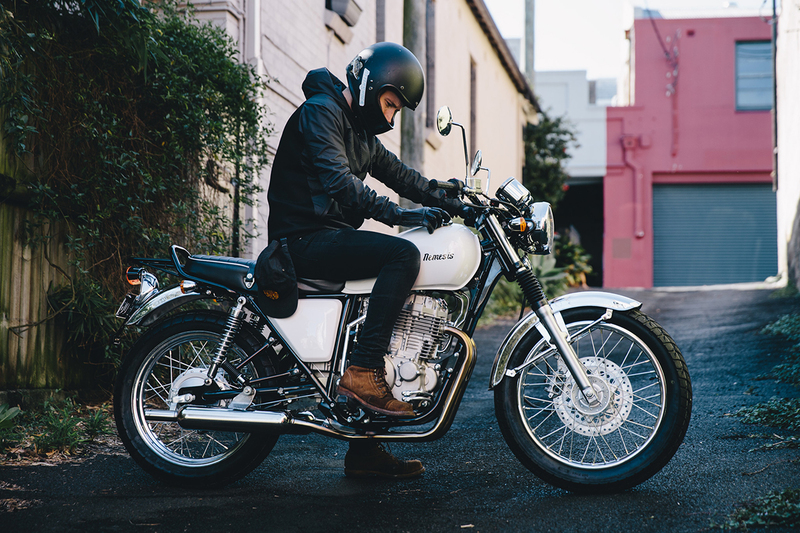 Hitting Australian roads June 2016, the Nemesis XY400 is part of the new range from Elstar and Sol Invictus. 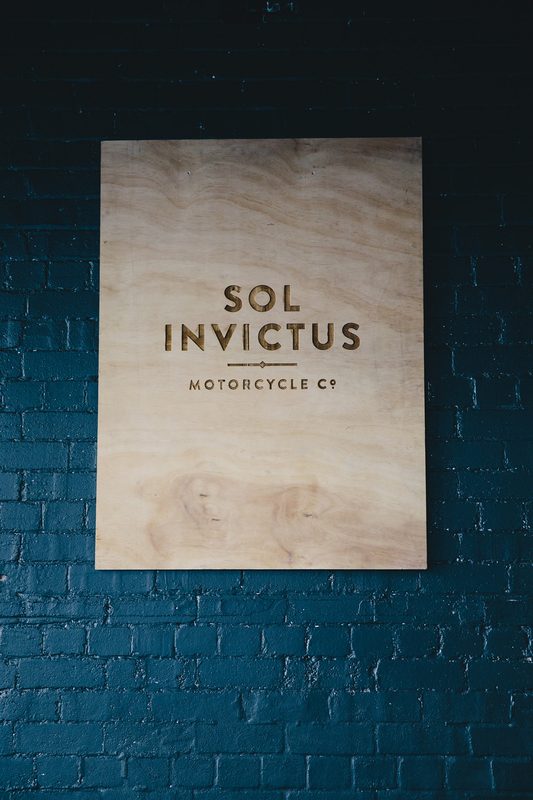 With the growing success of the Sol Invictus Mercury which is being seen more and more on streets, the Nemesis is the exciting new bigger brother that offers a bit more power while still maintaining the approachable ride and classic style that the Mercury is famous for. 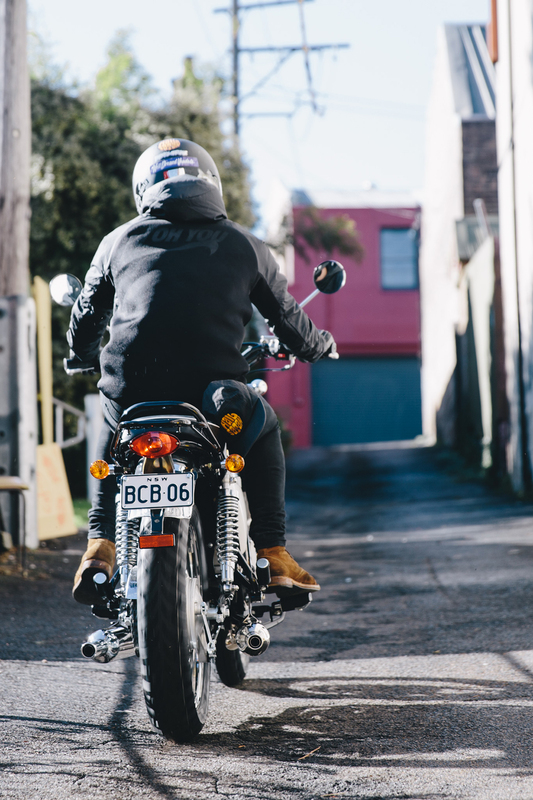 We took the Nemesis out for a squirt on Sydney’s roads, to wring its neck and see what this pony could do. 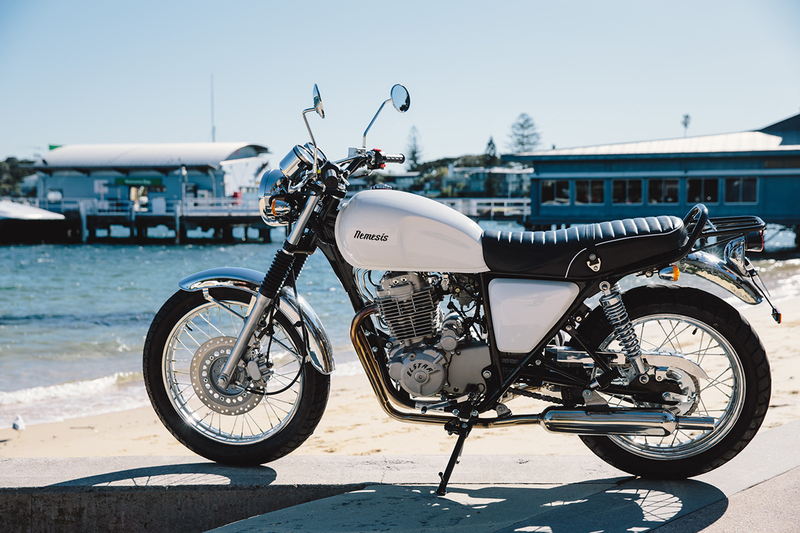 Featuring the new 400cc OHC 4-valve single cylinder engine, the Nemesis joins the ranks of eligible bikes for new riders in the LAMs market. 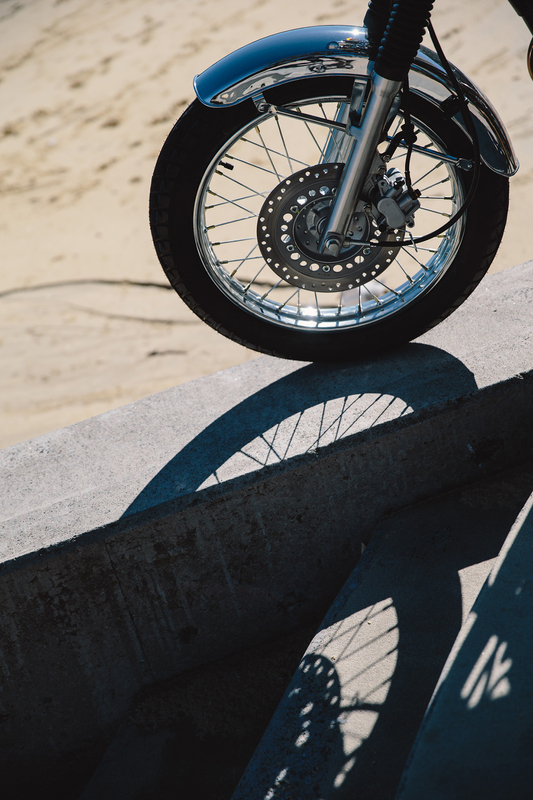 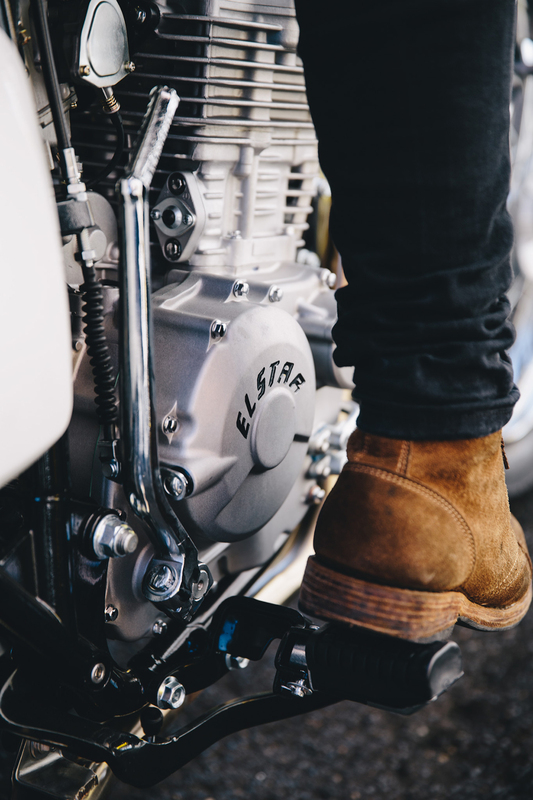 It’s got both electric and kick-start, so street cred can be attained as you give the bike that old school kick – and if that fails, you can just press a button! 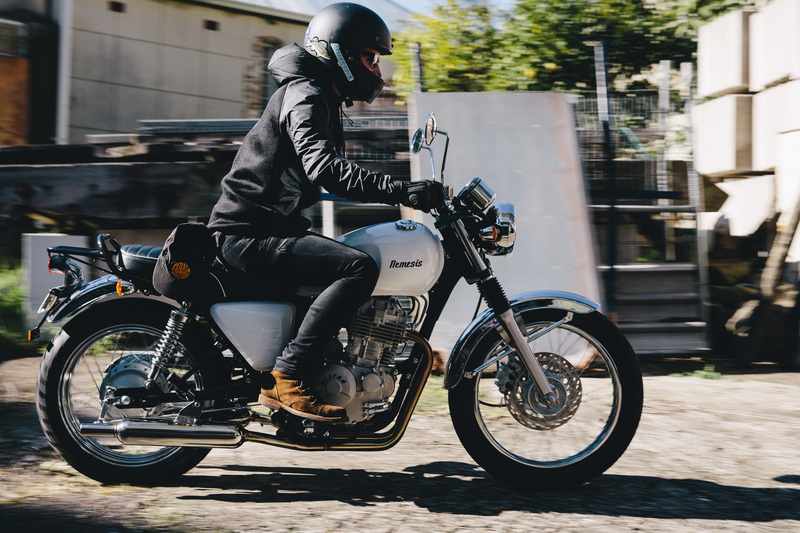 It’s a very lightweight and comfortable bike to ride, with nice low set bars that offer plenty of leverage, making it a bike that anyone can jump on – regardless of size – and feel confident. 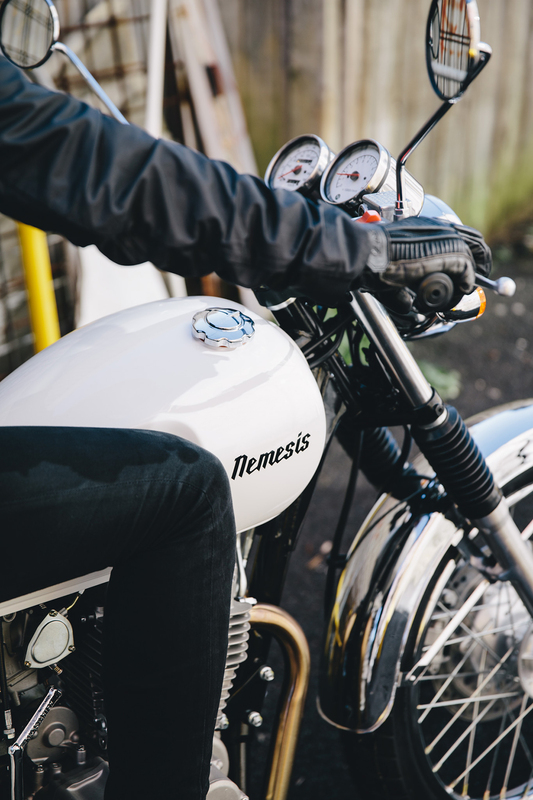 The Nemesis sports a classic style with modern engineering and sensibilities, a trend that is coming out of bike factories across the globe with very popular results. 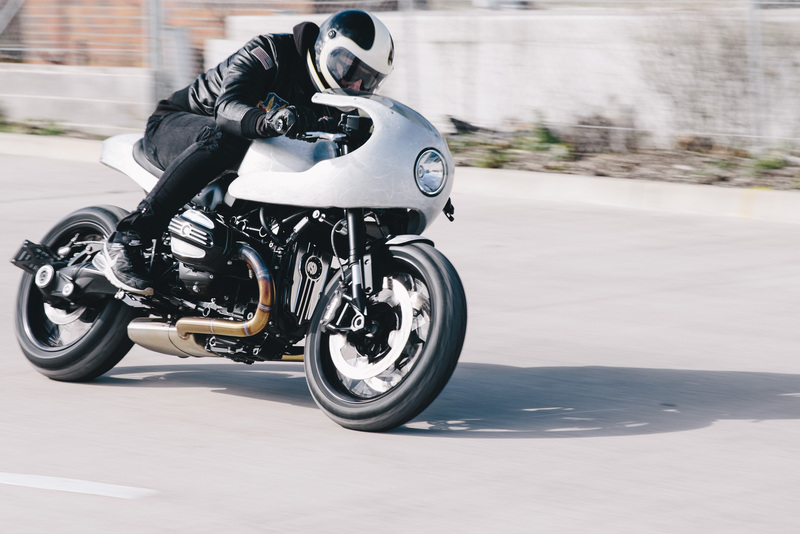 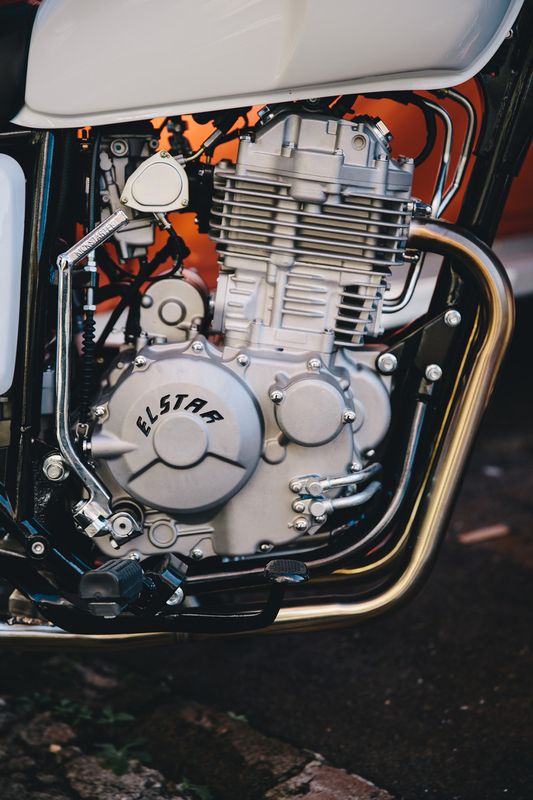 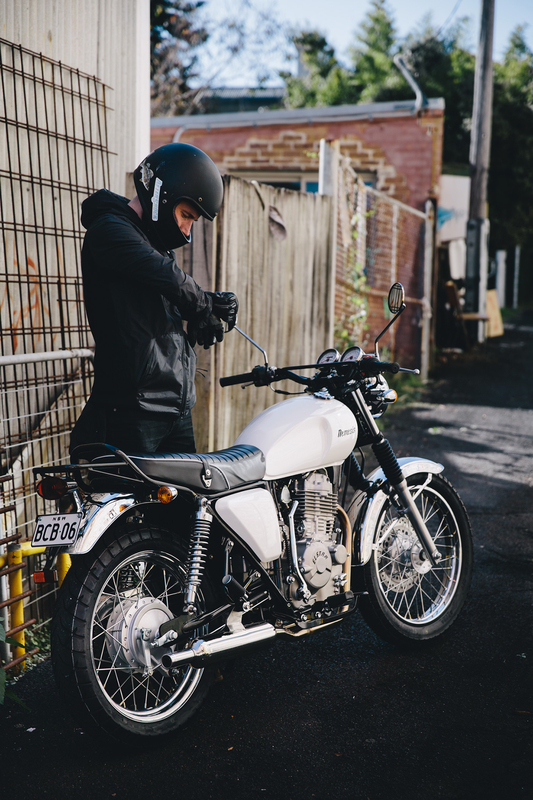 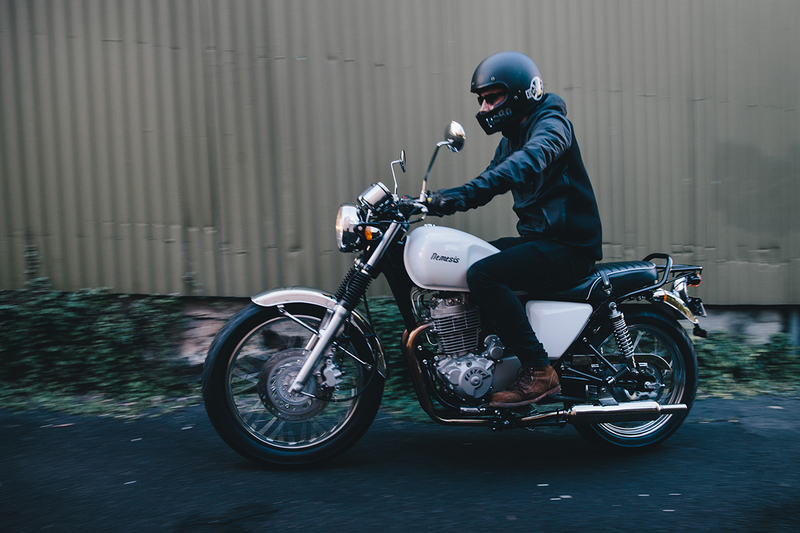 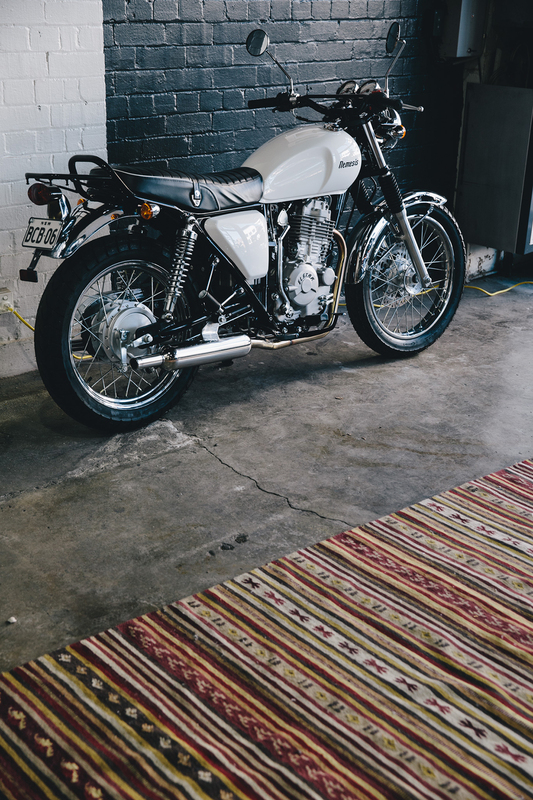 The opportunities to chop and change parts are also very appealing, you can go full café racer with the bike with relative ease for those so-inclined. 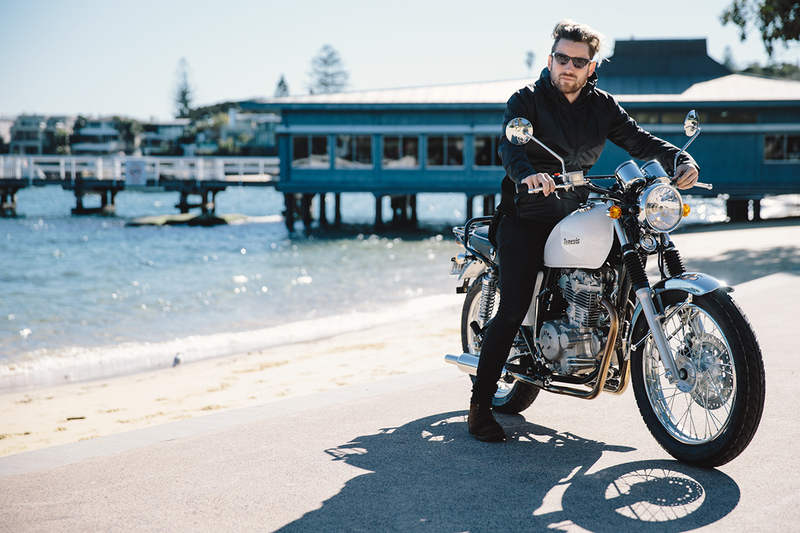 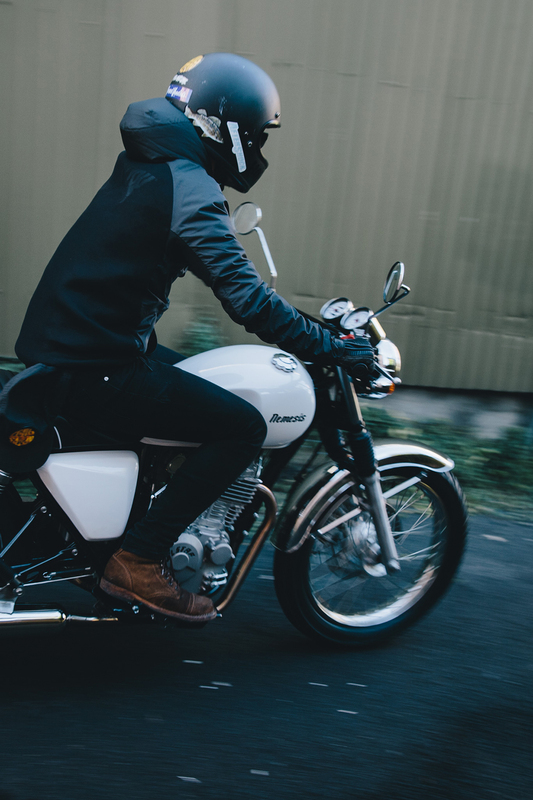 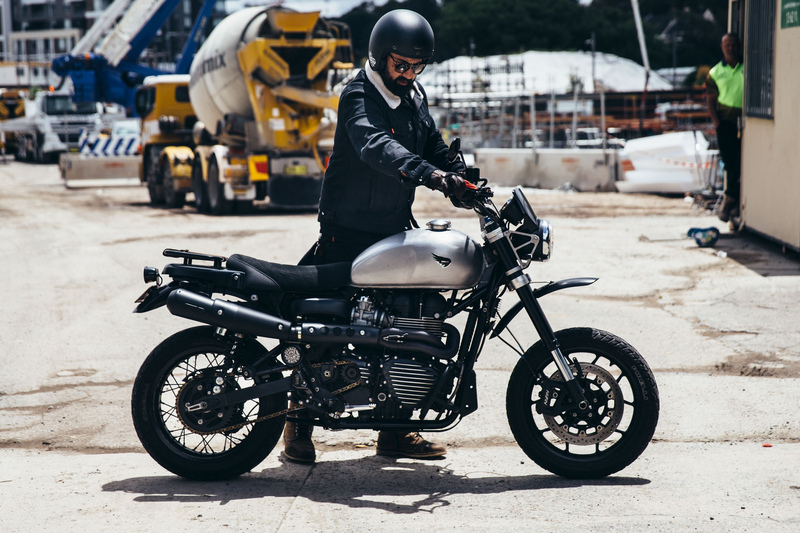 This is a bike that would be aimed at the more urban rider – it slips through the traffic of Sydney with ease, although for lane filtering bonus points the large stock mirrors could be swapped out for something a bit more low profile. 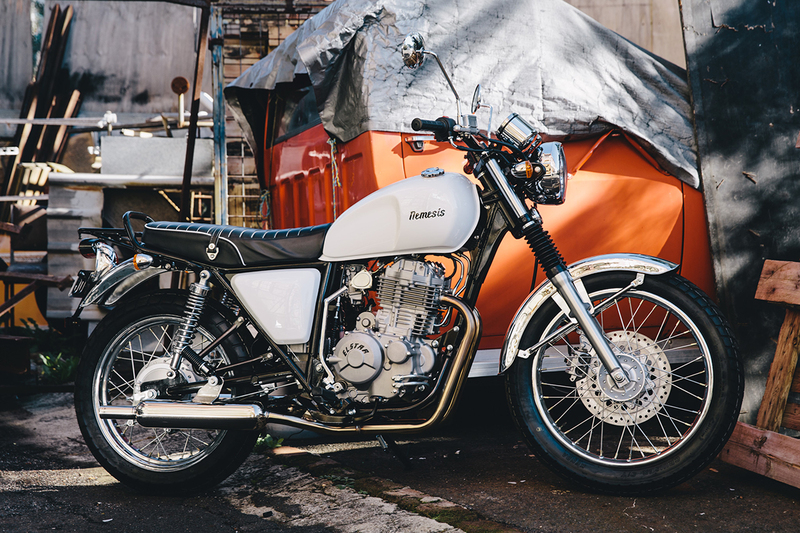 Don’t be fooled into thinking this is strictly a city bike however, you can do more than zip down to grab a cheeky coffee as it’ll sit happily on the open roads for those longer trips. 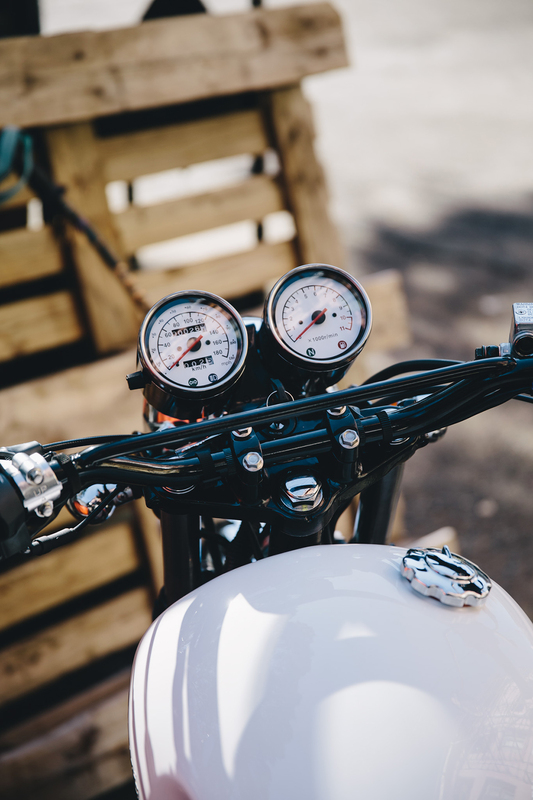 The luggage rack at the rear is very appealing for camping gear, and soon thoughts of off-road tyres will enter your mind as summer time bush bash trips begin to tempt you. 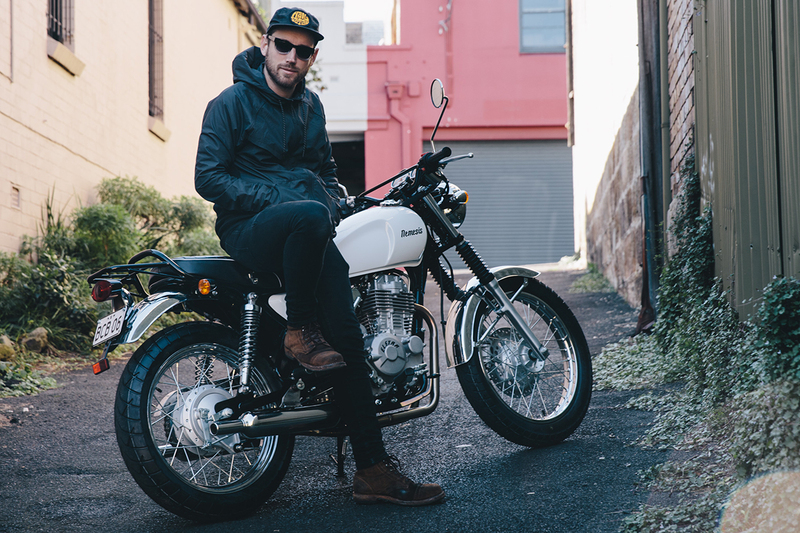 At $6,999 ride away brand new, it’s on the more affordable spectrum of LAMs approved bikes and certainly has its place in the market. 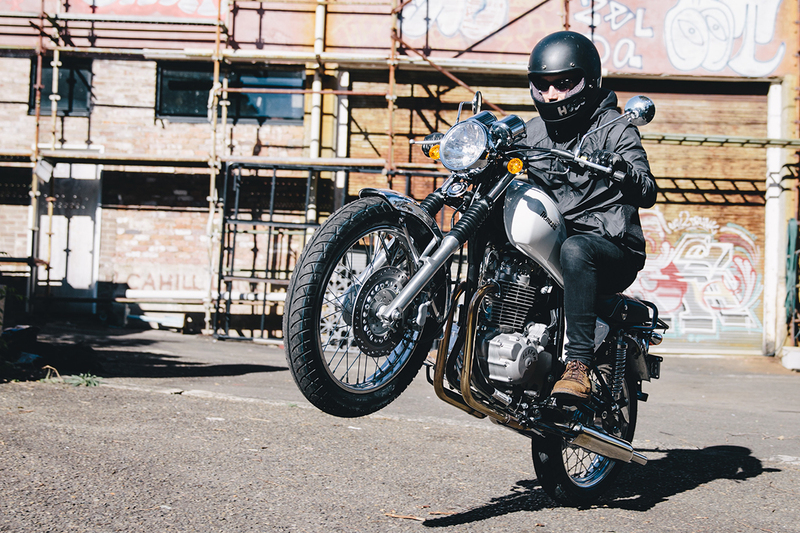 It’s a bike for those new to riding, and a very appealing one. 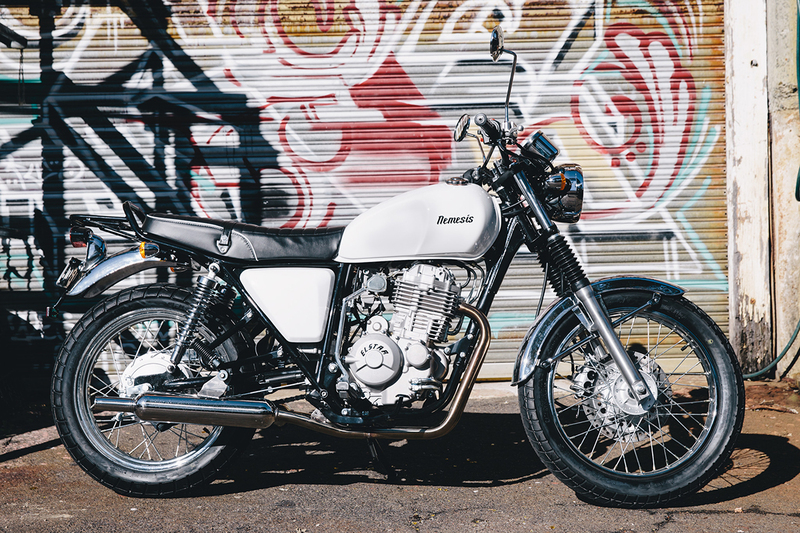 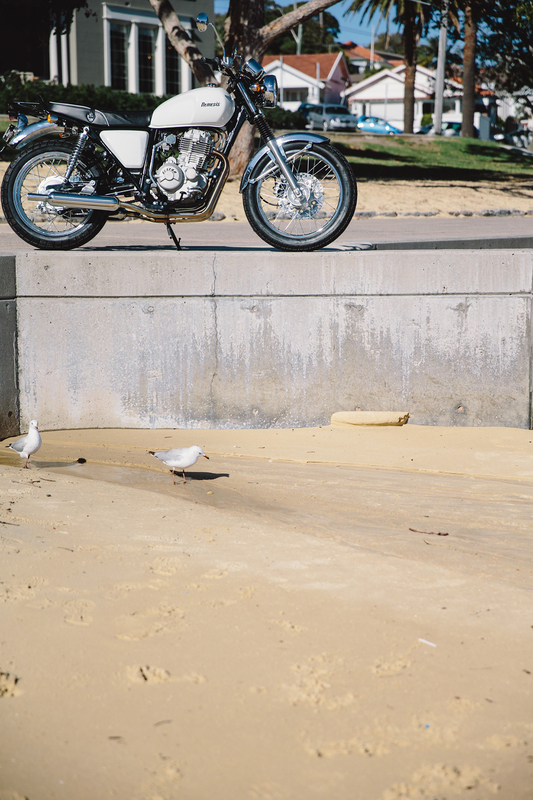 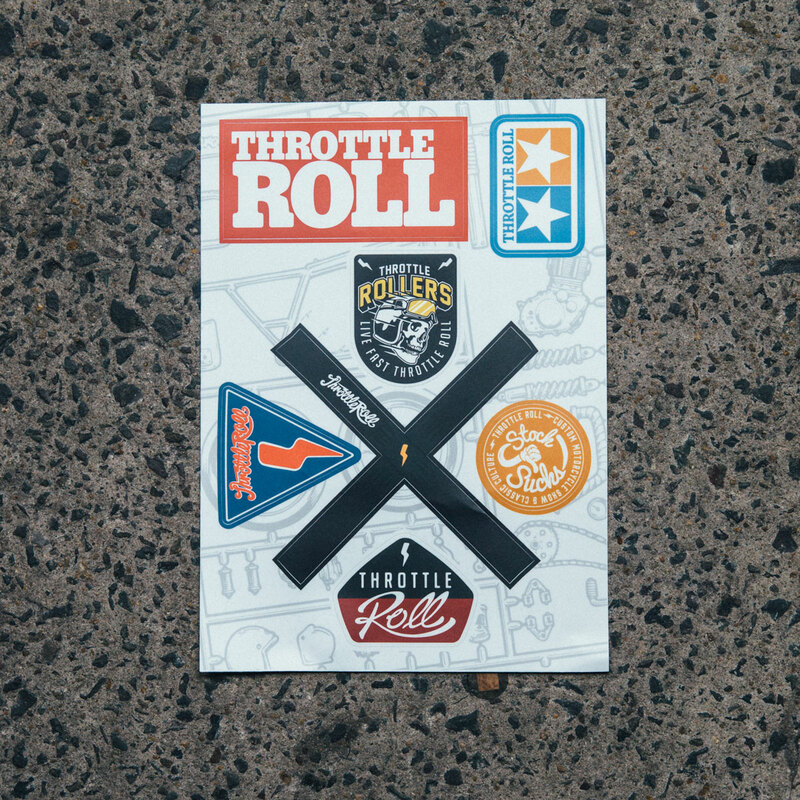 You’d be scarce to find a rider that wouldn’t sit on this bike and instantly feel confident. 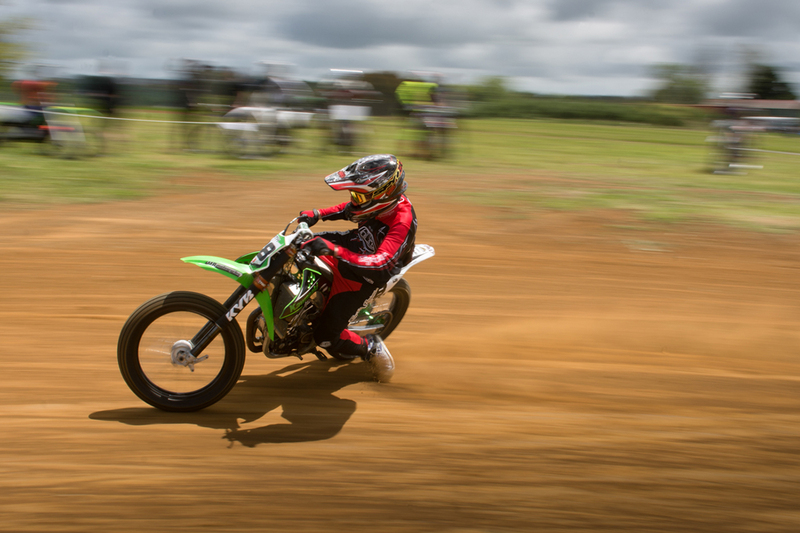 For more info on the Sol Invictus Nemesis XY400 Click Here.